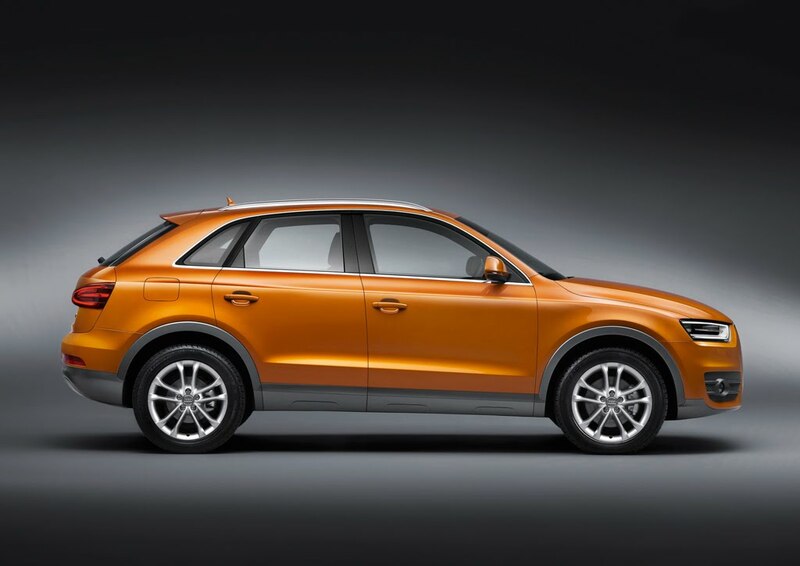 Less than a week before its official world debut in Shanghai, Audi has officially revealed their smallest four-ringed SUV yet, the Q3. 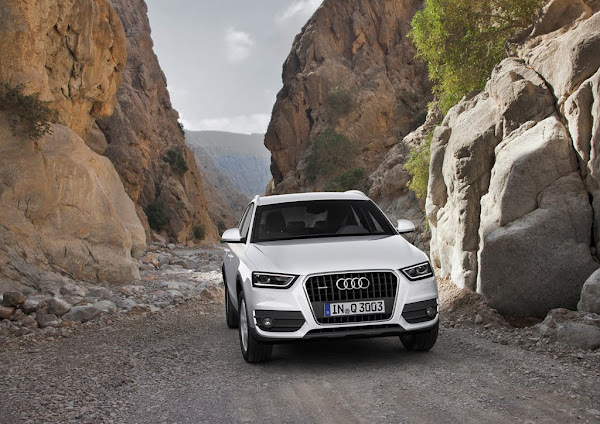 Referred to by Audi as a "premium SUV in compact form," the Q3 is a bit of SUV, coupe and crossover all wrapped into one - with (as this motto suggests) all the refinements and technology found in its larger and more expensive siblings. More info, photo gallery and video after the jump. 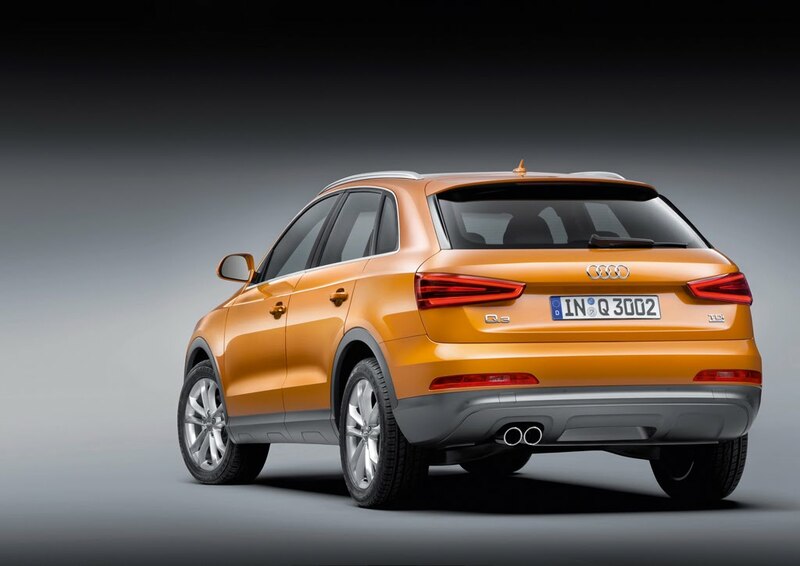 Audi describes the Q3's styling as "the sportiest and most progressive design in its segment." 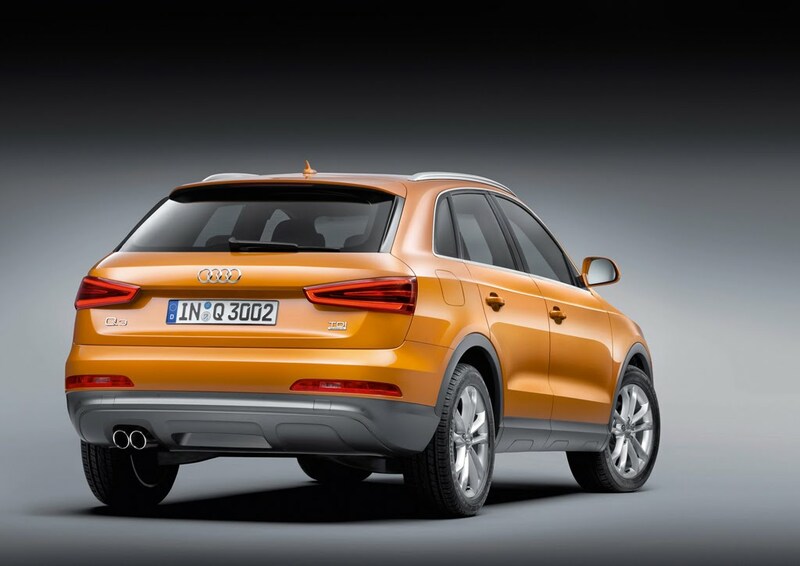 Expanding on this claim, Audi continues: "the Q3 similarly exhibits Audi’s classic design characteristics. The tornado line divides the side underneath the windows. 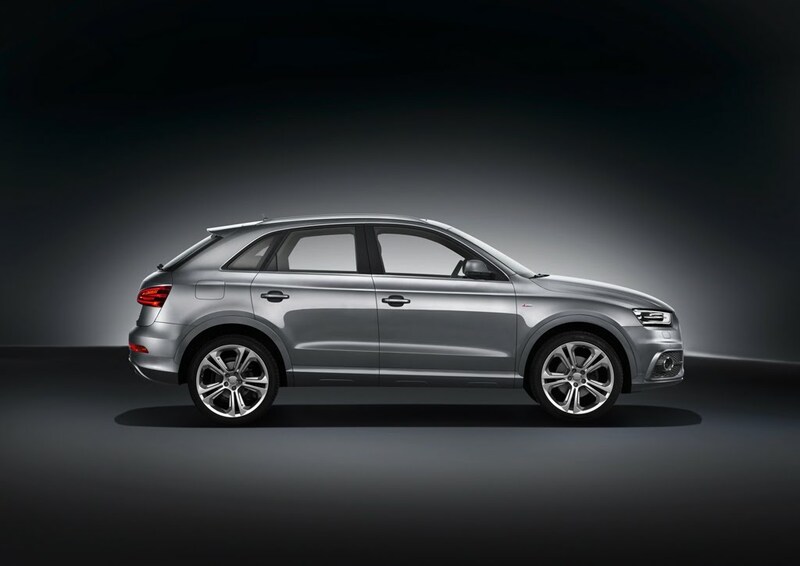 The dynamic line imparts additional flourishes near the side sills and the wheel arches have a muscular look. 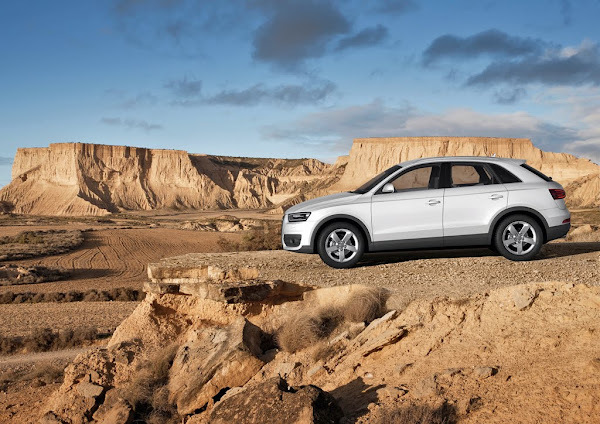 Metal constitutes two thirds of the vehicle’s exterior; the greenhouse the remaining third. The roof line slopes markedly toward the ground; the D-posts resemble those of a coupe." 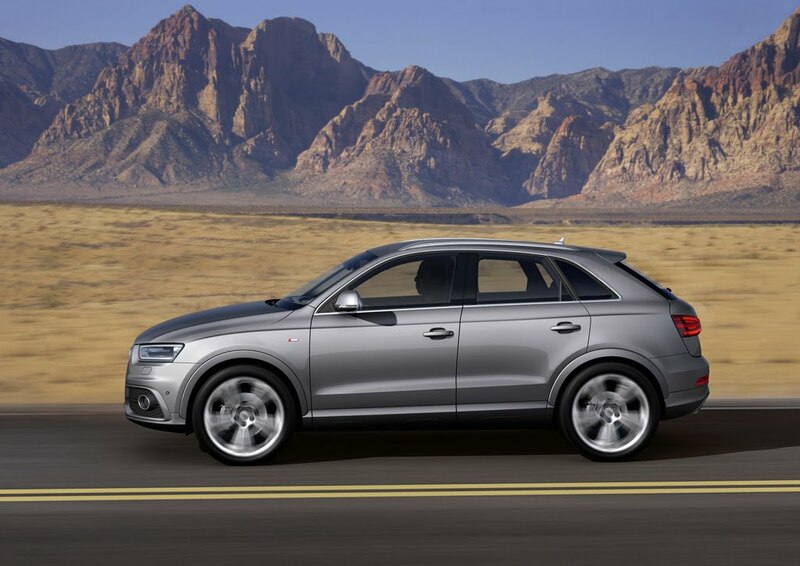 Although the word crossover is conspicuously absent, many U.S. consumers could view the Q3 as just that. 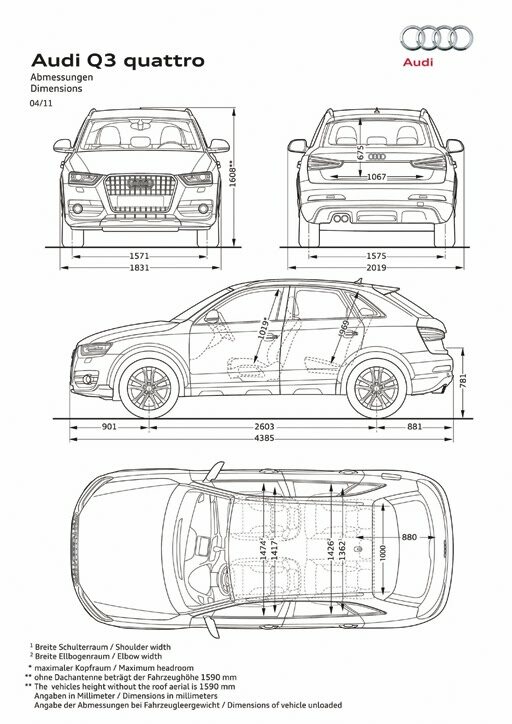 Instead, we find the "compact SUV" term to be quite fitting. 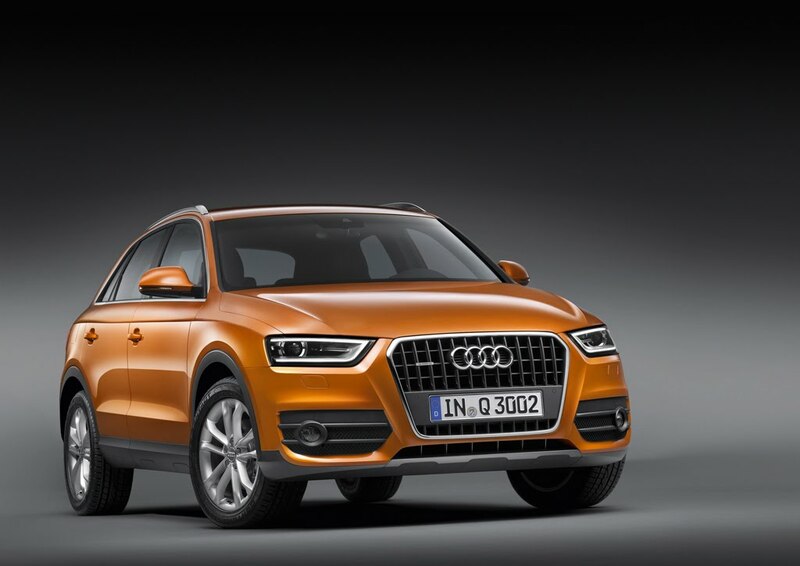 Under the hood, the Q3 will feature the choice of two, 2.0-liter TFSI (gasoline) and two, 2.0-liter TDI (diesel) four-cylinder engines. The 2.0 TFSI models will deliver either 170 or 211 horsepower and the 2.0 TDI will be available in 140 or 170 horsepower variants. 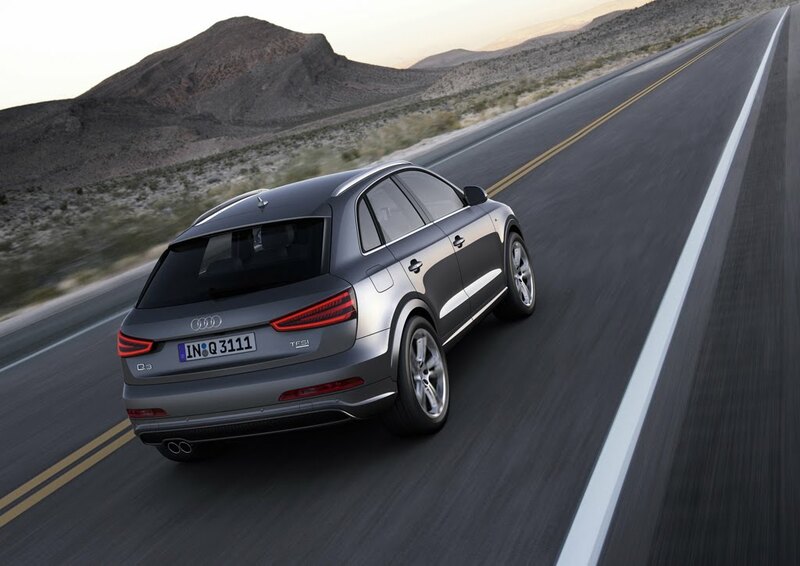 Both TFSI models and one TDI (170-hp) will come equipped with quattro all-wheel drive; with the more-potent TFSI and TDI engines mated to a 7-speed Tiptronic transmission (less powerful models will feature a 6-speed manual transmission as standard fare). 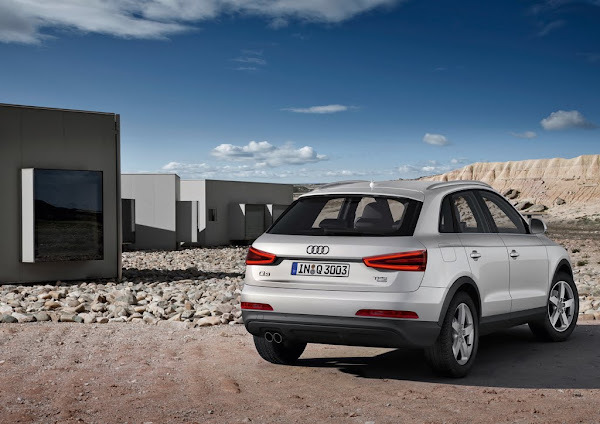 Also worth noting is the fuel efficiency of the less-potent 2.0 TDI (140-hp) that, when equipped with front-wheel drive and a 6-speed manual transmission, boasts a very impressive 45 MPG. 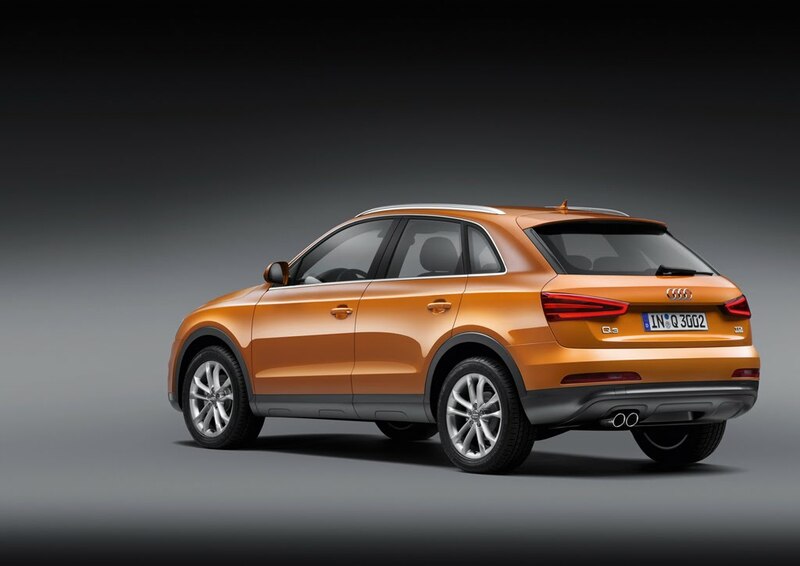 Inside, Audi claims that - despite its compact size - the Q3 is "very roomy," featuring seating for five and 16.24 to 48.2 cu ft (seats up, versus seats folded down) of cargo space. 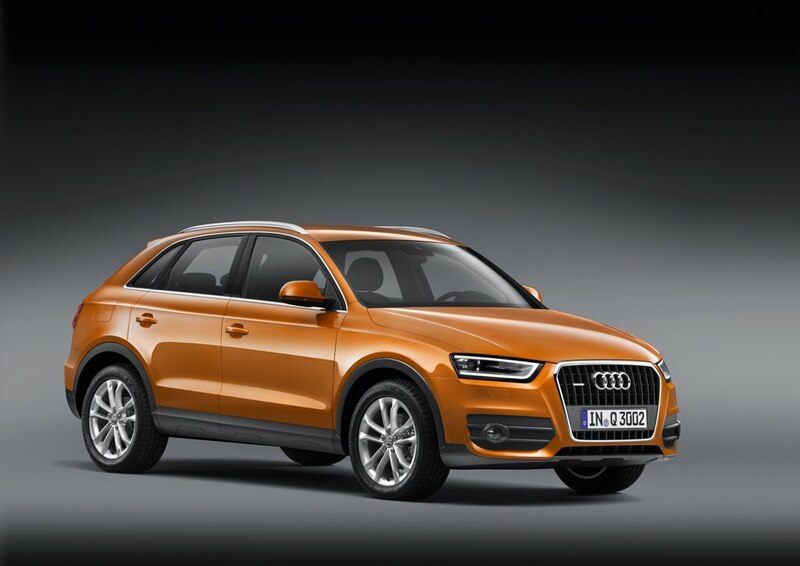 Expanding on the optional technology found inside the cabin, Audi says the Q3 "offers an entire set of infotainment components, spearheaded by the large MMI navigation plus – a hard drive navigation system – and the Bose surround sound system, with handsomely illuminated woofers up front. 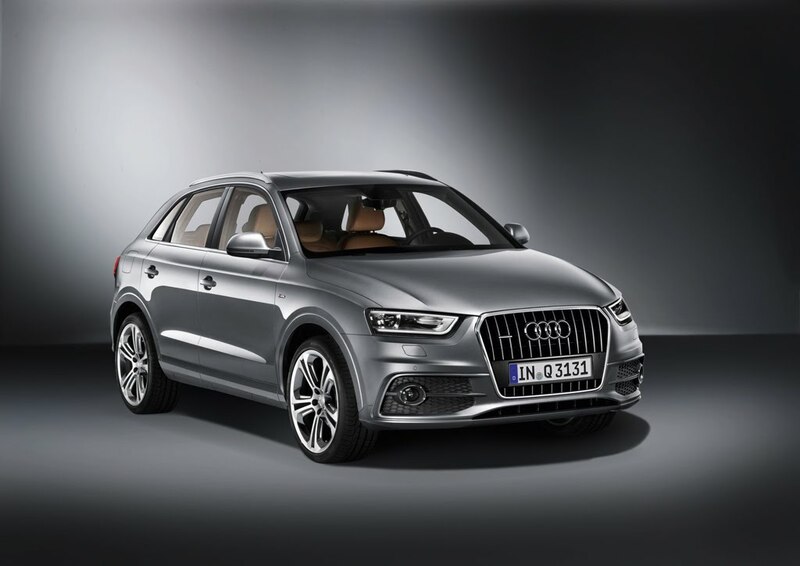 In the near future, an online Bluetooth car phone will follow, paired with a WLAN hotspot to provide the Q3 with full Internet connectivity." 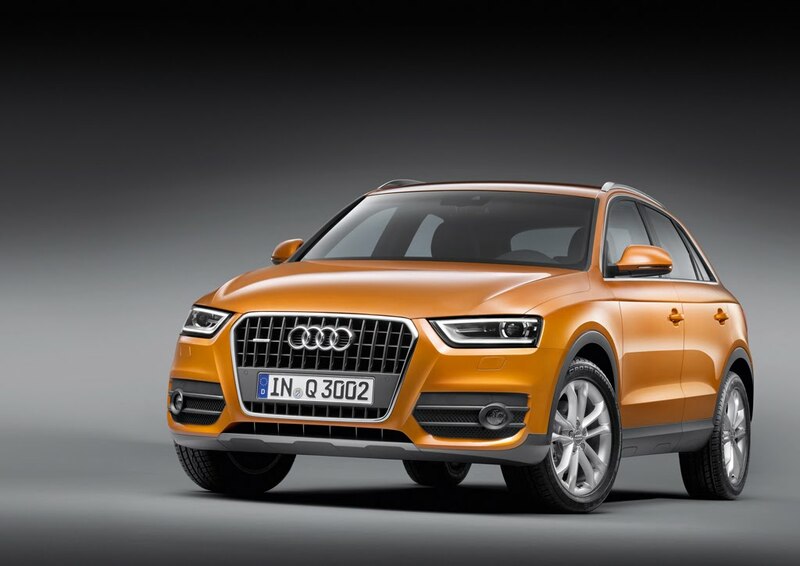 The Audi Q3 – which will roll off the assembly line in Martorell, Spain near Barcelona – will go on sale in Germany in June with a starting base price of 29,900 euros. 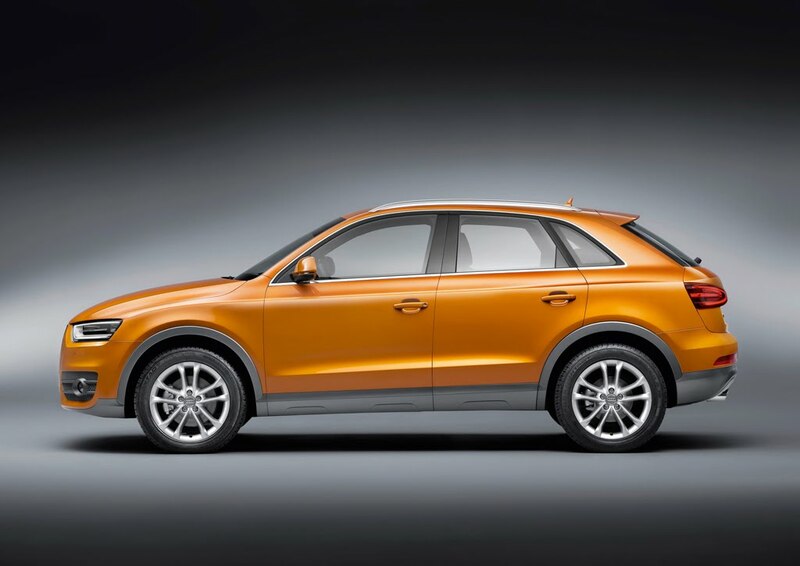 Look for the Audi Q3 to make its official world debut at the Shanghai Motor Show on April 19th. Full press release following the video and photo gallery below. 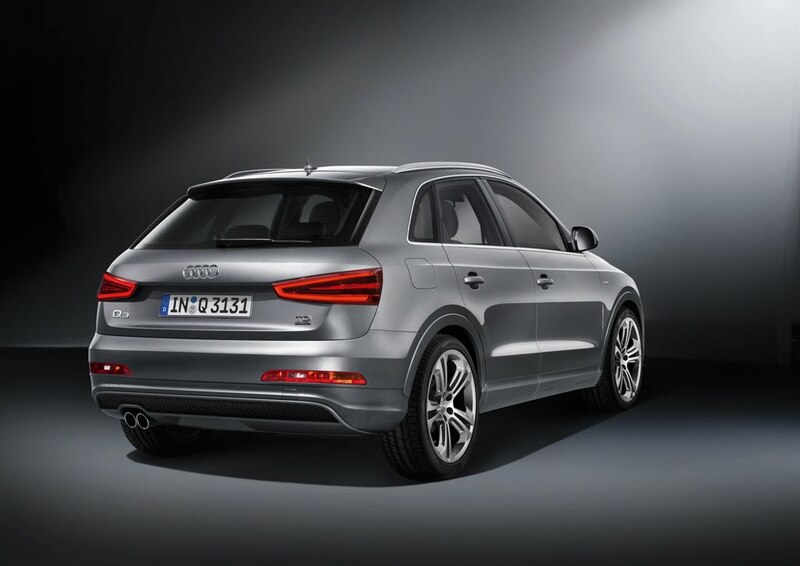 Audi drive select is available as an option for all Q3 engine types. 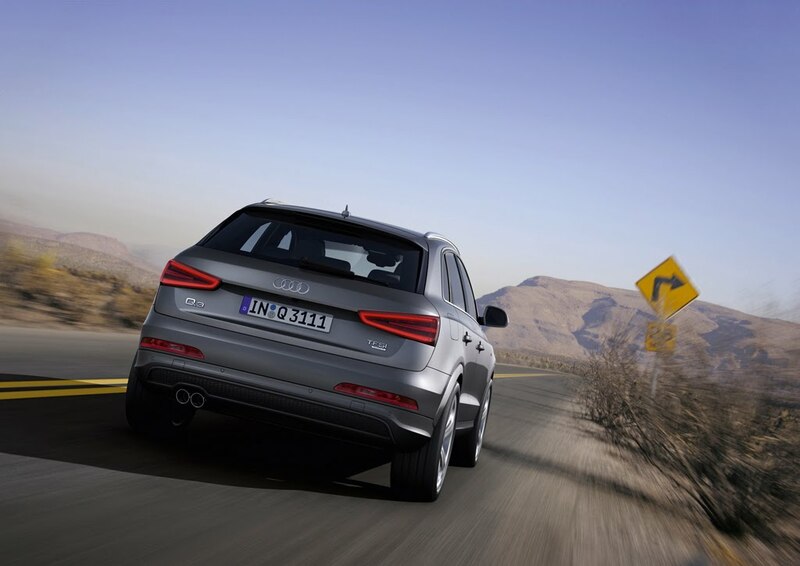 It accesses the accelerator and steering. 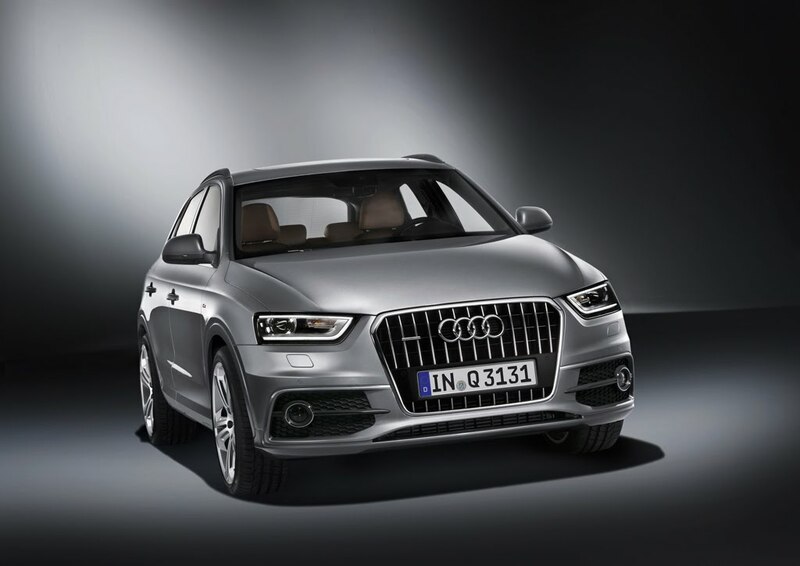 When ordered with the equipment options S tronic, adaptive light and Audi adaptive cruise control, these are influenced, too. The driver can vary the function of these systems between the comfort, auto, dynamic and efficiency modes. In efficiency mode, the air conditioner and cruise control operate with the specific aim of saving fuel. 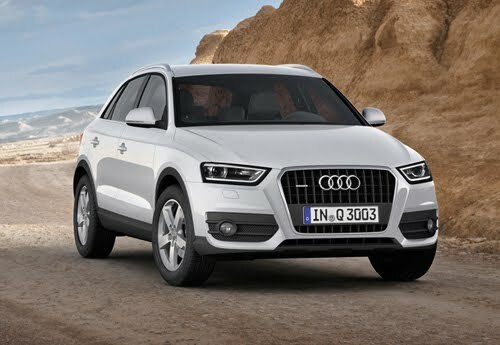 *The equipment and data specified in this document refer to the model range offered in Germany. Subject to change without notice; errors and omissions excepted.